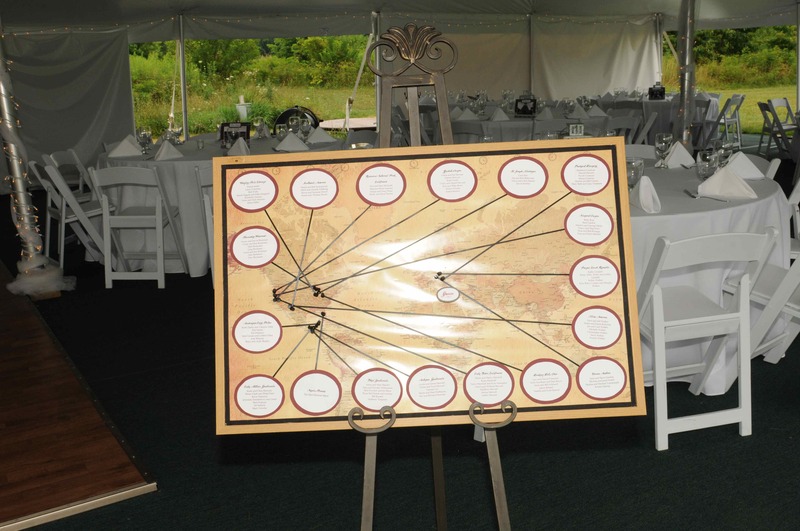 This past July A. had the honor of helping her dear friend plan her beautiful vineyard wedding in Three Oaks, Michigan. 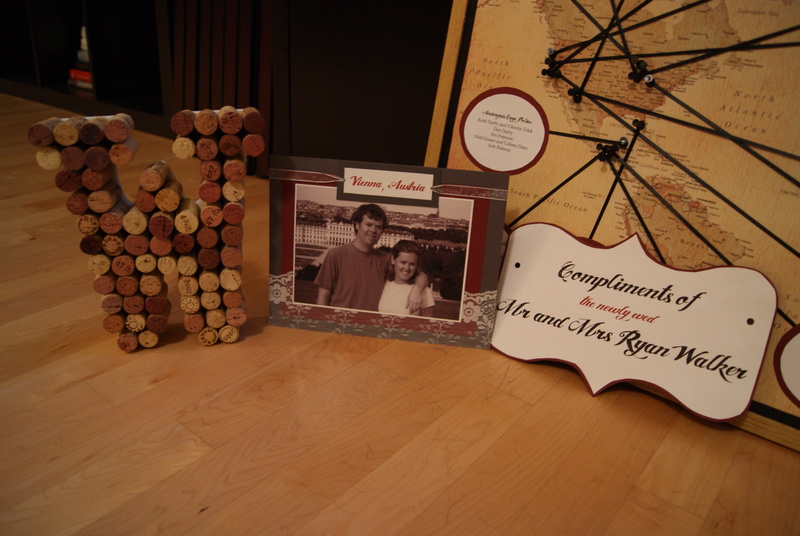 The bride knew how much A. loved to work on paper crafts and floral arranging, so she asked if A. would do the honors and A. excitedly said YES, YES, YES! Since A. had never taken on a wedding other than her own (see her creations by clicking here), she was both elated and a little nervous. She was confident that she could get it done and have it be beautiful for her friend, but adding a destination wedding to the equation added a perplexing twist. 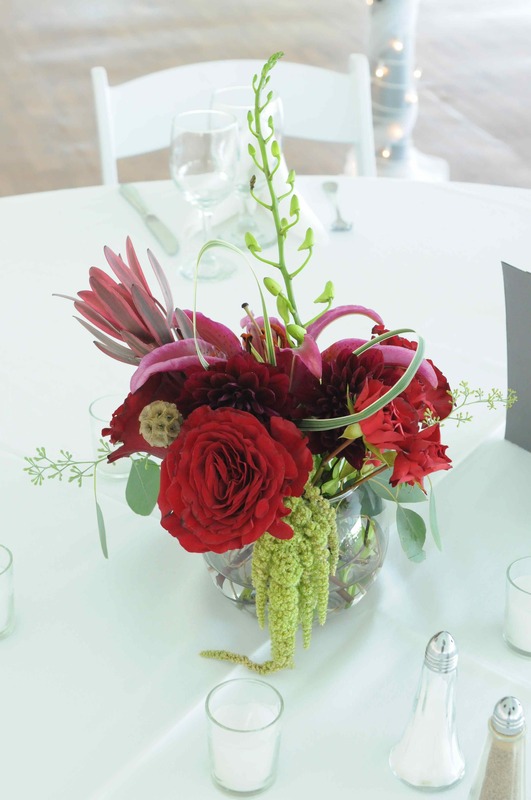 With the help of her favorite floral designer Kristen, owner of Kio Kreations, they devised a plan. 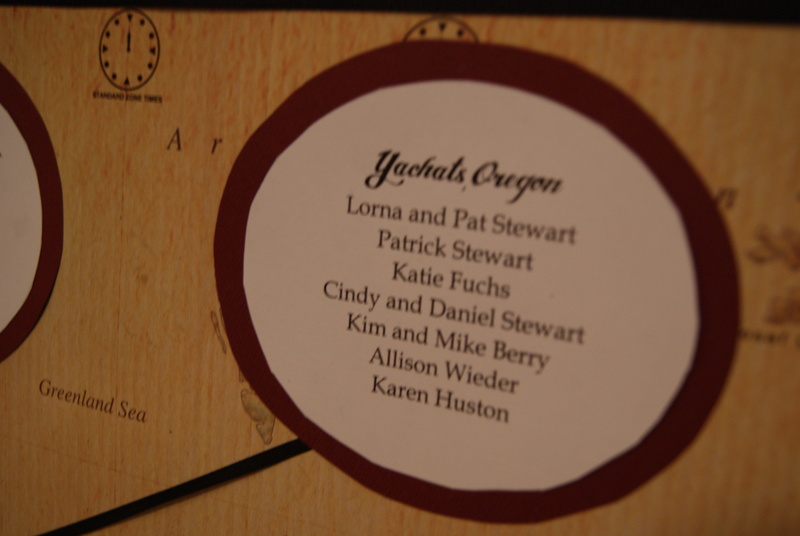 Kristen worked on things that could be driven to Michigan (bouquets) and A. would do the rest on site. 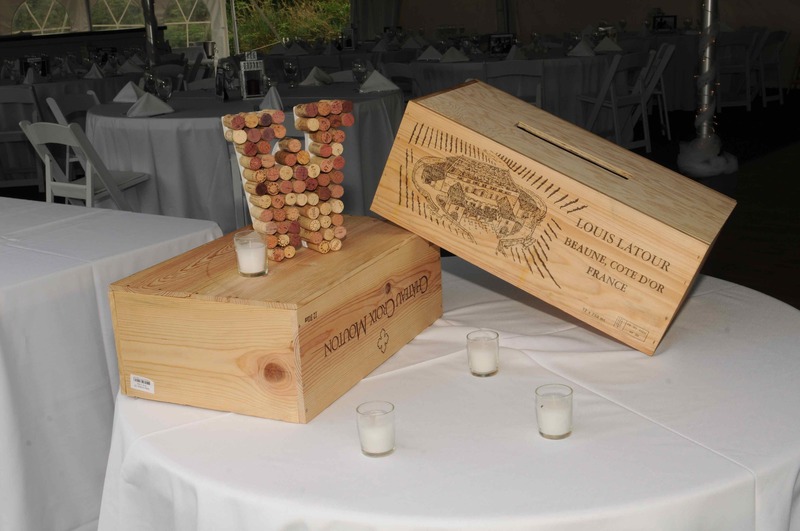 The bride and groom chose the beautiful Willow Harbor Vineyards in Three Oaks Michigan for both the ceremony and reception. 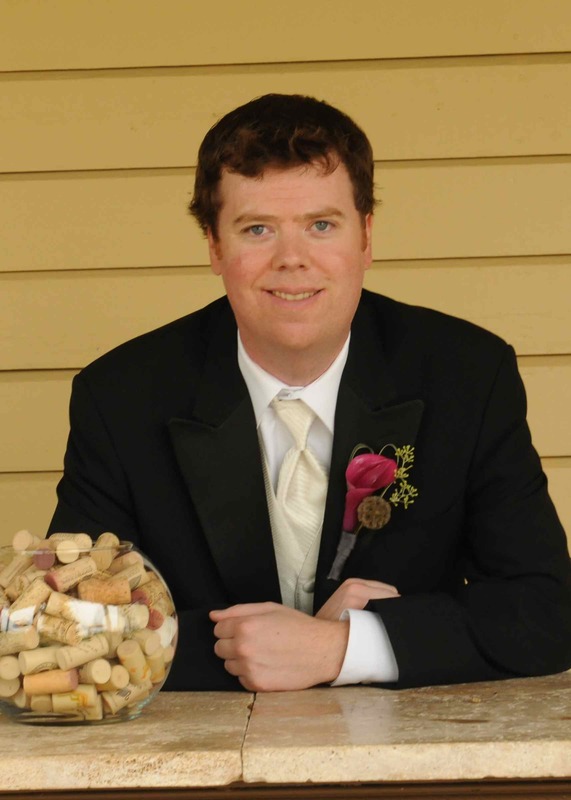 They wanted a relaxed yet classy wedding using a color palette of merlot (it was at a winery, after all! ), gray, black, cream and a hint of silver. 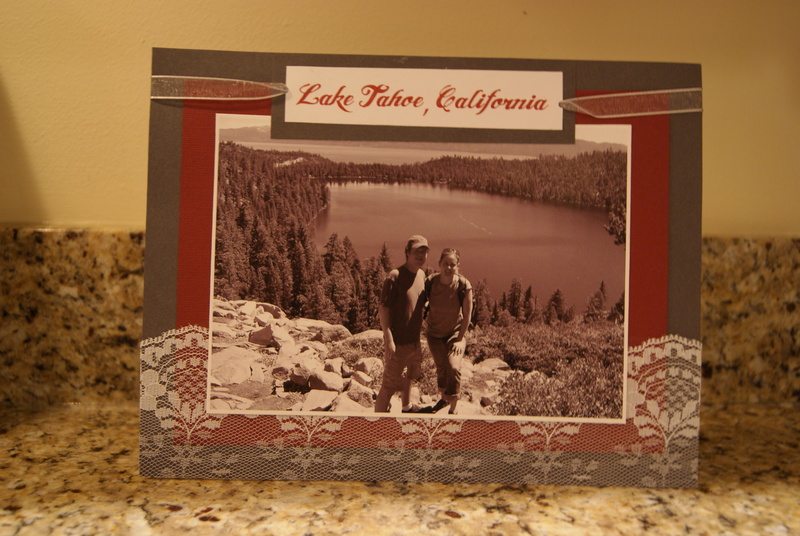 The couple love to travel and wanted to highlight some of their vacation photos as table cards so instead of being assigned a traditional table number, you were assigned a particular destination they had visited. A. designed the table cards to reflect their wish and softened the cards using lace as a backdrop to the beautiful black and white photographs chosen by the bride. 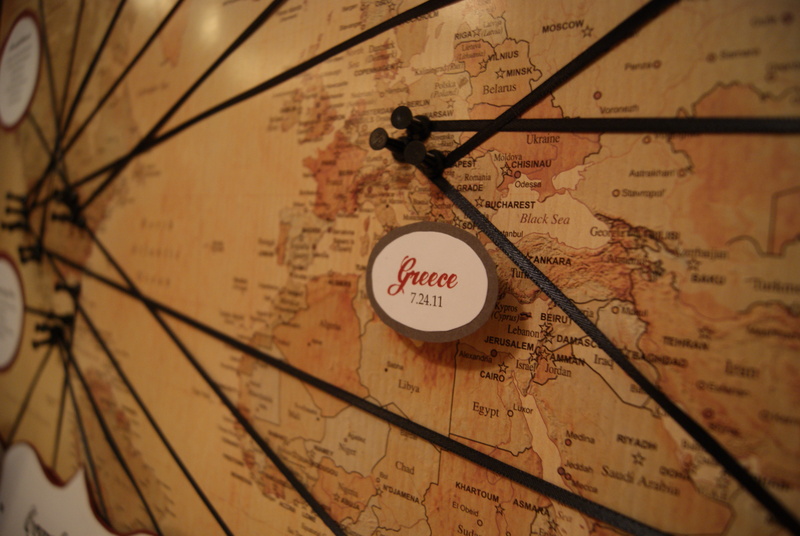 To carry out the travel theme to the table cards, A. created a seating chart using a vintage map with pin points to each destination (and as a surprise to the bride and groom, added their honeymoon spot in an alternating color scheme for a final touch!). 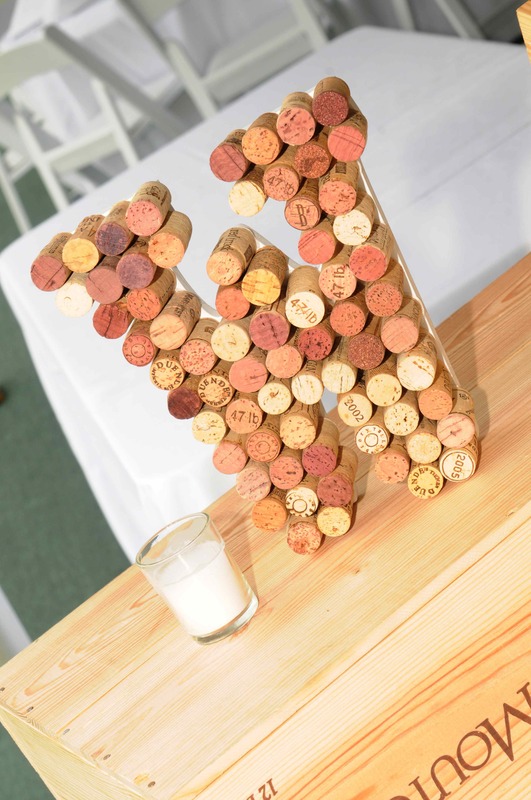 A hole was cut into the top of a wine crate to hold cards on the gift table, and A. created a standing wine cork decorative initial of the newlyweds using corks of wine bottle that A. and the bride had shared over the years as friends. 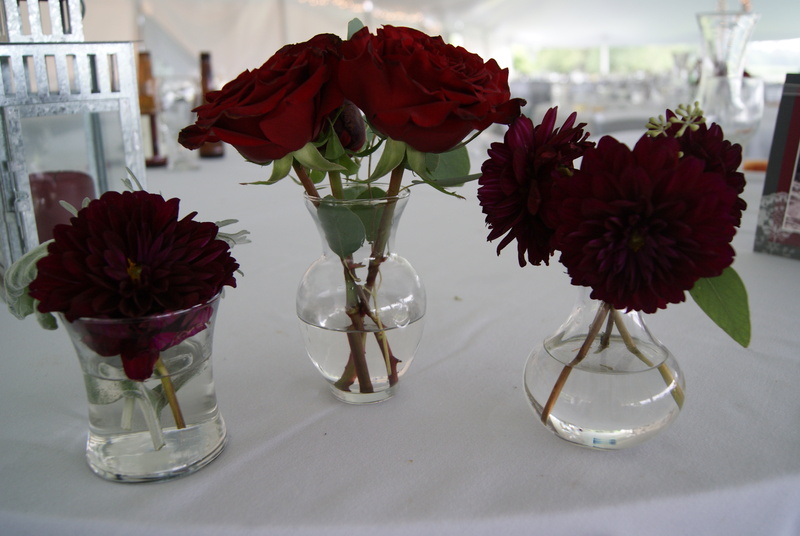 As for the flowers, the bride wanted roses and dahlias to take center stage in all of the designs. 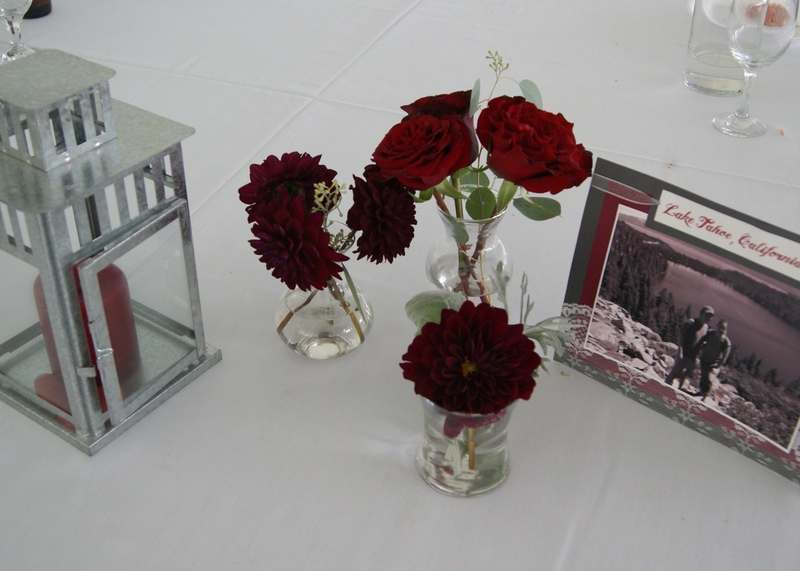 She did not want tall arrangements, but rather smaller clusters of flowers that looked natural on each table as well as a lantern centerpiece. 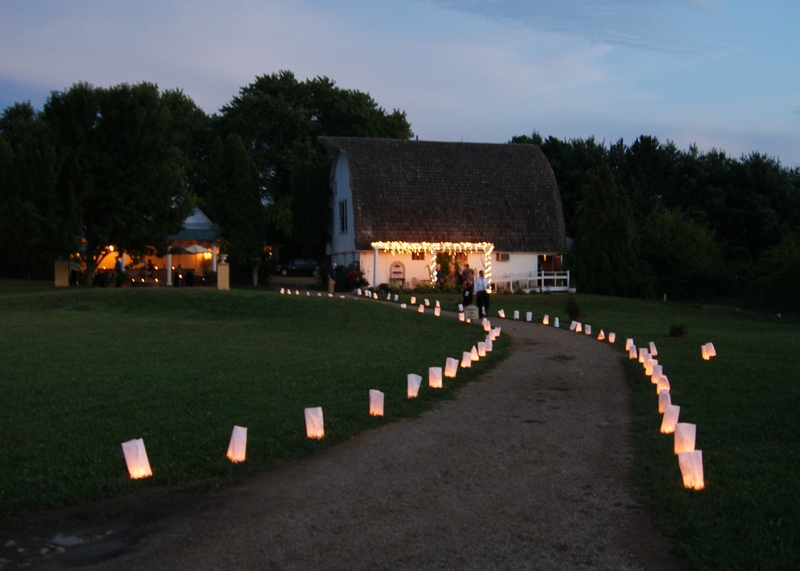 We came up with two different designs that reflected her wishes and added dimension as well as additional light, to the tented, yet outdoor, space. 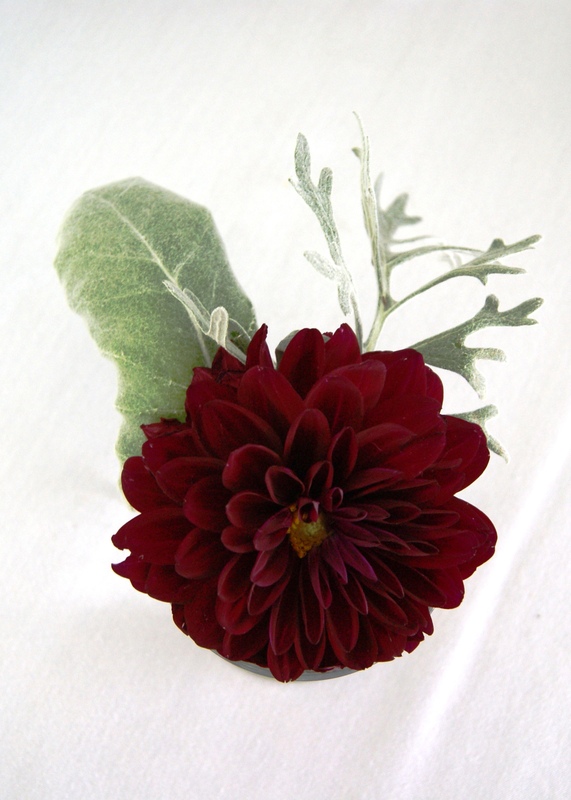 Additionally, A. created a simple and architectural boutonniere for the groom and wrist corsage for both the mother’s and grandmother’s of the couple. 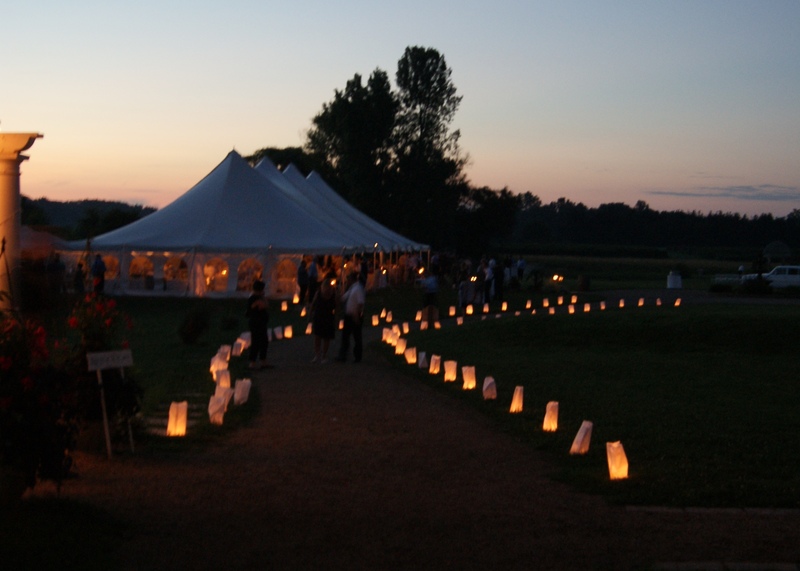 Finally, since the vineyard had several outdoor spaces important to the wedding (the ceremony site, the main tent for the reception, a barn where the bathrooms were located, and a separate outdoor patio for the cocktail reception), A. suggested a luminary to light the path to each of these locations. Probably A.’s favorite aspect of this particular wedding was having the brides complete faith- to which A. took complete advantage of much to the bride’s delight! A. added final touches to every spot within the vineyard including wine cork filled centerpieces at the cocktail reception patio, additional flowers on the main bar in the tent, special messaging tied to the “Flip Flop Basket” provided by the newlyweds, rose petals leading up to the tent and scattered over the desert and cocktail tables, and candles galore that flickered in the moonlight to cast a romantic glow upon the bride and groom. 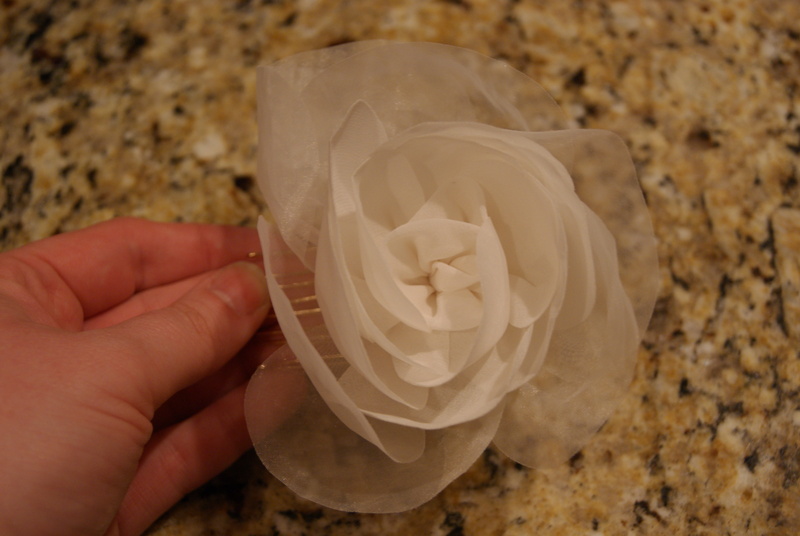 A. even used pieces of the bride’s wedding dress to create a coordinating hair accessory for her to wear! Despite building all the centerpieces in a 100 degree barn (that’s right folks, no AC to keep the flowers cool on the hottest weekend of the summer and they STILL looked amazing), the wedding was a beautiful success and the reception lasted until the wee hours of the morning. Even in the heat (and A.’s husband will tell you, it was HOT! 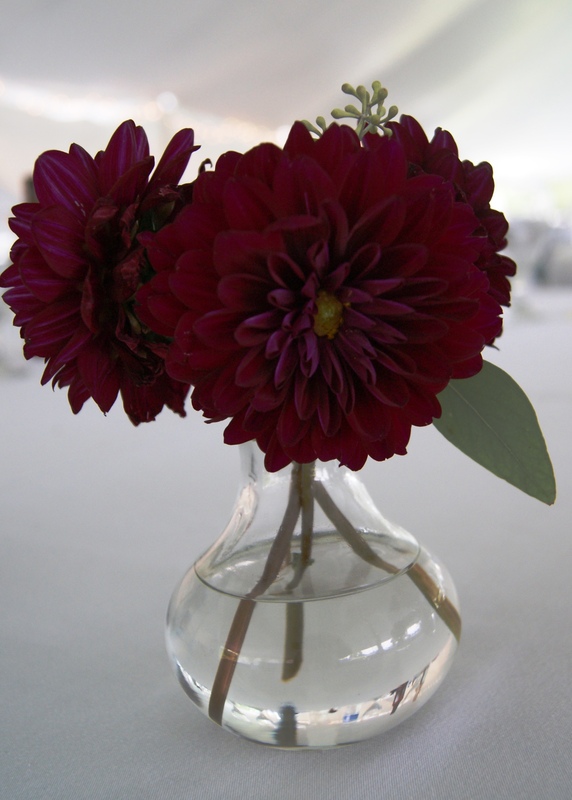 ), the flowers looked so good the next day, the owner of the vineyard took them to decorate his restaurant in downtown Three Oaks! 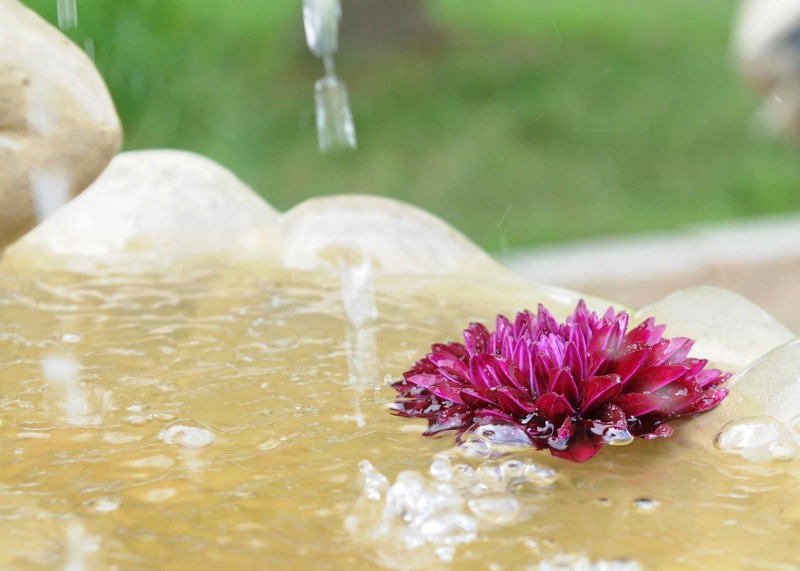 Enjoy the pictures- some come from the talented Kim Berry of Captured Memories– and some come from tear down the next day (yes, A. forgot her camera day of in all of the excitement!). HUGE thanks to Kristen at Kio Kreations, and thank-you and CONGRATULATIONS Mr. & Mrs. Ryan Walker! 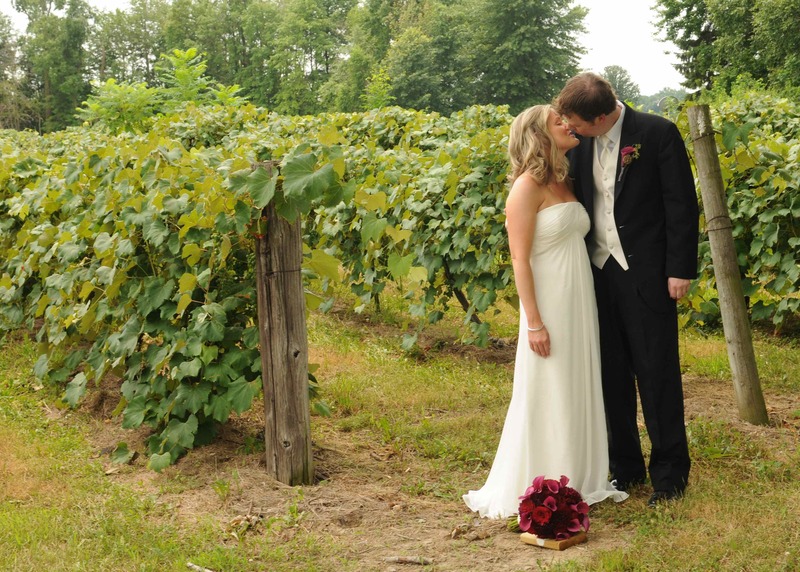 beautiful bride and handsome groom among the grapes in the vineyard. 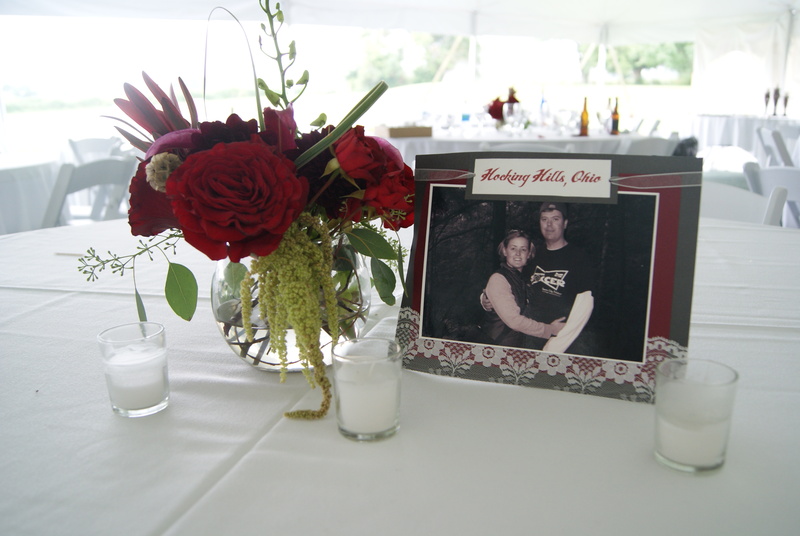 Also pictured is the beautiful bouquet created by Kio Kreations and boutonniere by A. 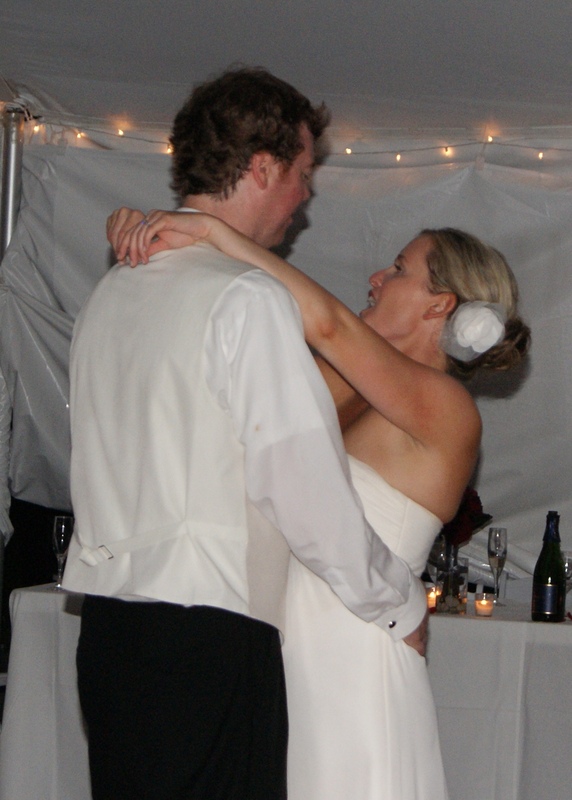 The bride and groom’s first dance- and you can see the pretty hairpiece! 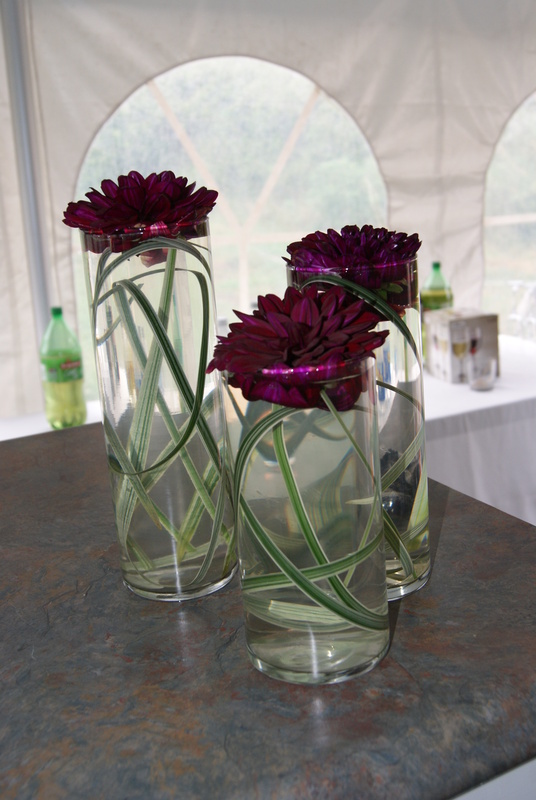 (Pictured the next day) A. brought additional vases from home and added a trio of dahlia’s to the bar inside the tent. 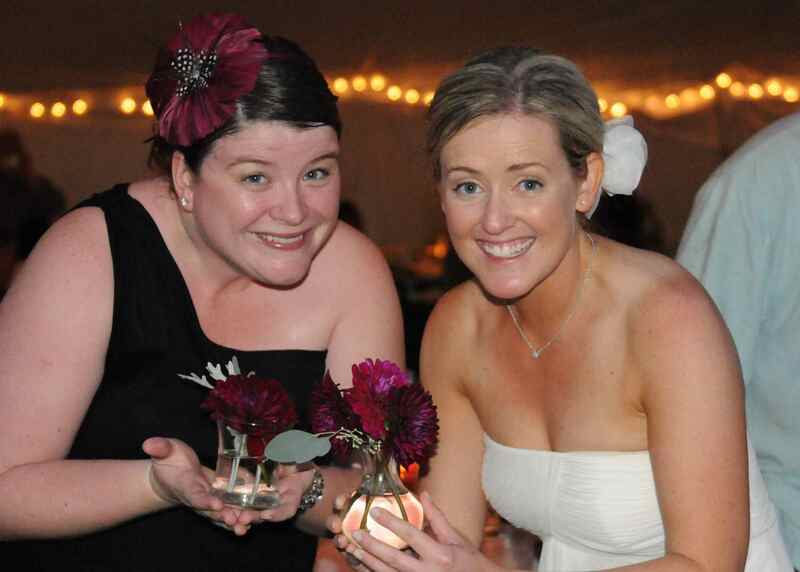 A. and the bride take a break from dancing to show of some of the bud vases! ← Halloween Is Around the Corner and Etsy Shop Opened! Absolutely beautiful wedding. A. you really out did yourself!